If you are planning on having a special Fort Collins Halloween we have you covered. From best dog costumes to zombies to trick-or-treating in Old Town Square, Fort Collins is the place to be for Halloween. Here is a list of all of the events and things to do for Halloween in Fort Collins. 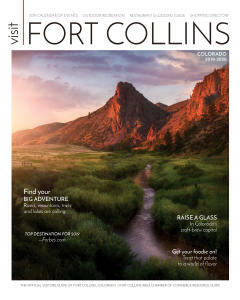 Even Charles Dickens might agree — in Fort Collins, it’s most definitely the best of times. It’s one city, certainly, but this Northern Colorado hotspot offers fun winter experiences that fall into two distinct categories: outdoor adventures and urban escapades.